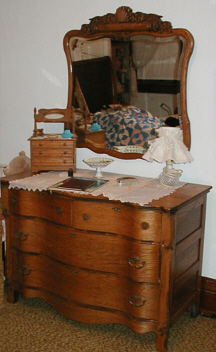 In the children's bedroom, on the second floor is a beautiful dresser which was manufactured by the former Wis. Furniture Company of Neillsville. A world famous business in its day, this industry employed four to five hundred area citizens. It was burned to the ground June 28, 1910 and was never rebuilt.